Welcome to SitcomsOnline Digest! It has been a busy week of news with Nickelodeon announcing a Rocko's Modern Life TV movie, Hulu announcing some major changes to their service, and more. Let's get going! 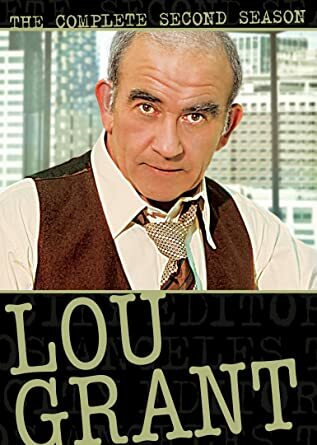 Lou Grant - The Complete Second Season (DVD, $26.99): The spinoff of The Mary Tyler Moore Show moves forward on DVD in this release. Who to Follow: Daryl Bartley (Twitter), "CG Artist, Avatar, Power Rangers, Child Actor, Small Wonder, Warren, Dad Jokes"
Claim to Fame: Daryl Bartley was a child actor didn't exactly get a lot of screen time as a child actor, but is very much memorable. He had appearances on Simon & Simon and Buffalo Bill, but his biggest and most memorable role was Small Wonder, where he played Warren Enright, Jamie's friend who always had a crush on Vicki. While his character was one of the more memorable ones on the series, he didn't even make a lot of appearances. He only appeared in six episodes. Luckily for him, though, the child acting phase was just the beginning of bigger and better things. While he is no longer an actor and has not done any TV roles (at least according to IMDb) since his last Small Wonder appearance in 1987 (almost 30 years ago), he found a bigger and better career working in CGI animation and visual effects, and his work can be seen on some of the biggest films in theaters today, such as Twilight, Avatar, Life of Pi, and many others.